A few days are left before the 41 International AGM in Sun City kicks off. 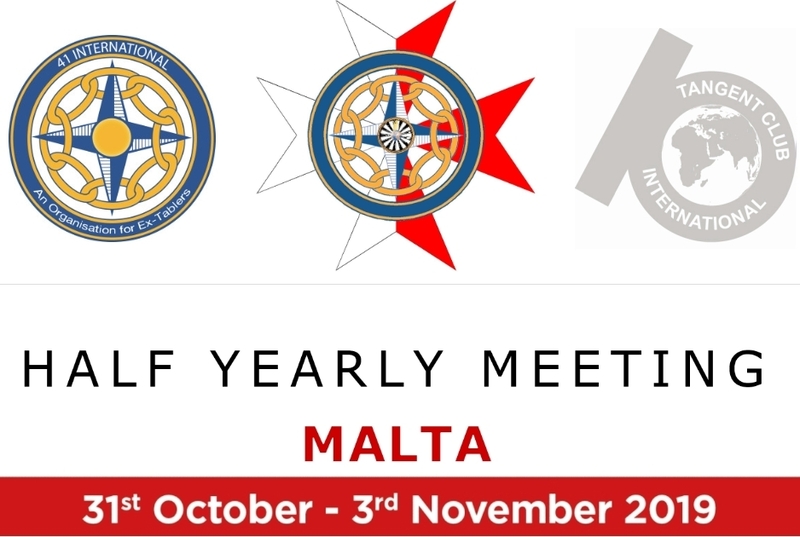 Time for me to share some thoughts and experience I could gain during the year as your 41 International President. Time flies… my schedule has been very busy with visits to the majority of the national AGMs, board meetings, meeting RTI, supporting fund raising projects and finally answering lots of e-mails and phone calls. I took the opportunity to expand my network with many great Tablers across the world. I am deeply moved by making so many friends. Even at my age I have learned a lot from you during my visits. Thank you very much for all of that ! In regard to the overall program, as stated at the AGM in Landshut, there has been no change to the strategic topics that have been defined and followed in the past years. We have carried on implementing and improving. Guidance were given to associations where needed. Looking back, I am very happy with the progress you have and still are undertaking in the associations to be more active and vibrant. Thank you so much for your continued hard work. 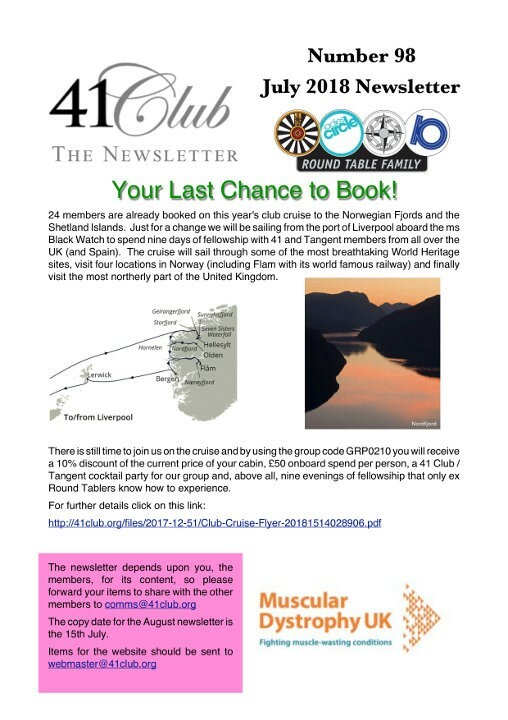 We continued to focus on expanding the membership in 41 International. I am proud to state that the board has been working on this as a team under the leadership of our extension officer and Past President Makarios. 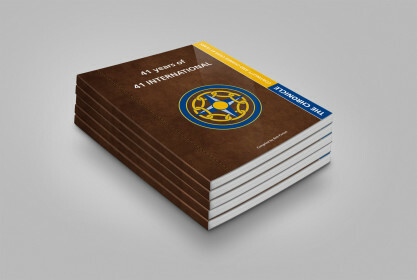 41 International has currently 25 member countries and further 3 are in the pipeline. For details please see the report in the April version of the Communique on the 41 International website. Jointly with the board I decided to take up one strategic point that has not been touched in the past years: A common future name for our organization, incorporating what we are and in addition easy to be recognized in the public. It is the start of a journey on this topic, which will take time to have the associations aligned. The initial workshop on this topic at the HYM in Bangalore showed in the discussions that the associations believe that a common name would be great to have. Several names where brainstormed and discussed. Next step will be to narrow down on the name alternatives at the next workshop at the 41 International HYM in Italy. Exciting times! We have extended the support functions of the board by adding the Communication Manager function. Together with the modern website we have installed the required setup to exchange news, best practice and announcements. Communication has improved greatly at all levels to the benefit of all of us. It has been a great pleasure for me to serve our organization to take steps for further improvement, becoming more attractive for leaving Round Tablers to join our wonderful organization. 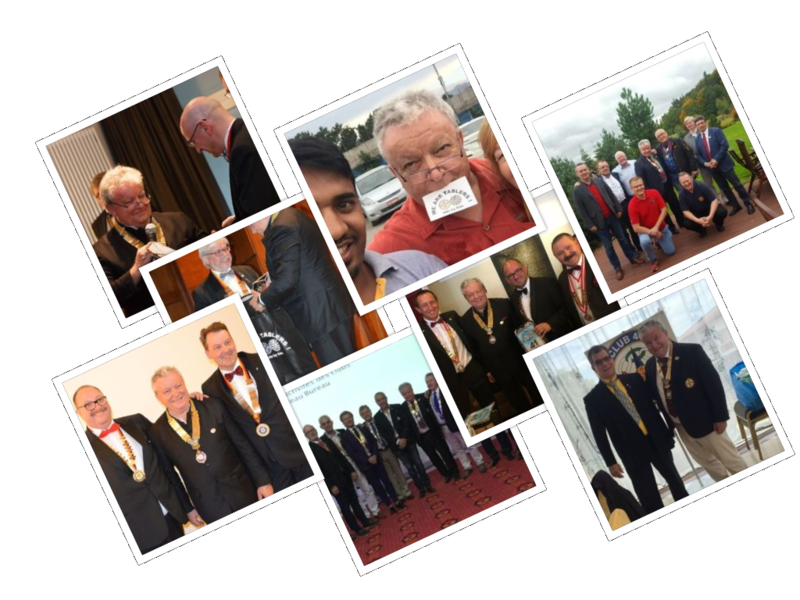 I am looking back to a year of great Tabling, with fun & fellowship, but also with a great amount of work, supported by my 41 International board and all the associations. The spirit of Table has been the guide. 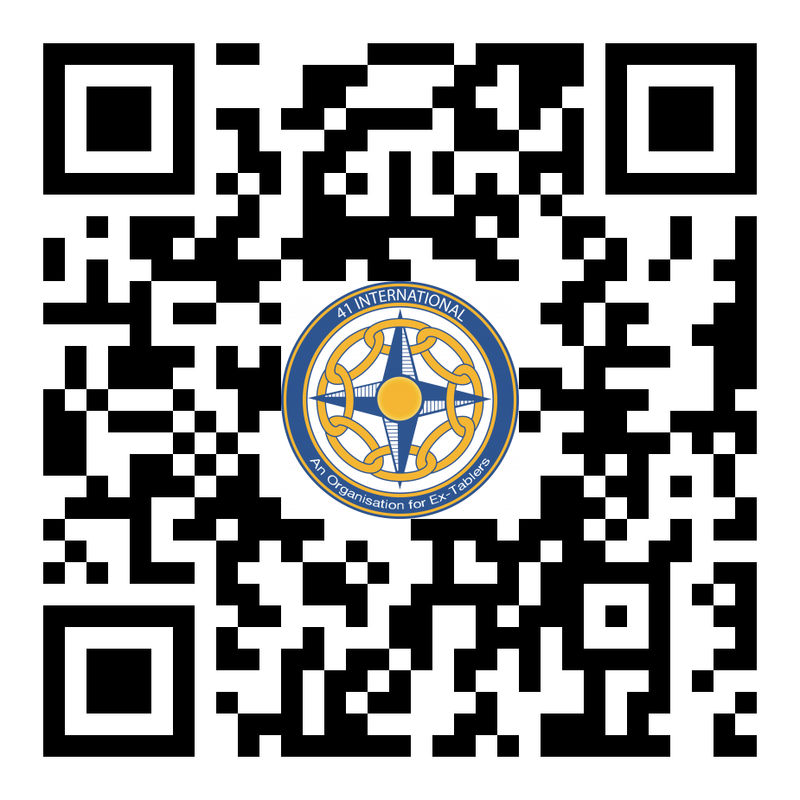 Round Table International has asked for support from us to help identifying candidates for Round Table. 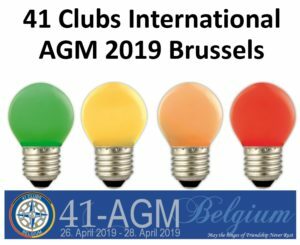 41 International with it’s member associations can help at take initiative. This will be on the agenda of the 41 International AGM in Sun City. Looking forward to step back and work as Past President on Extension J! !